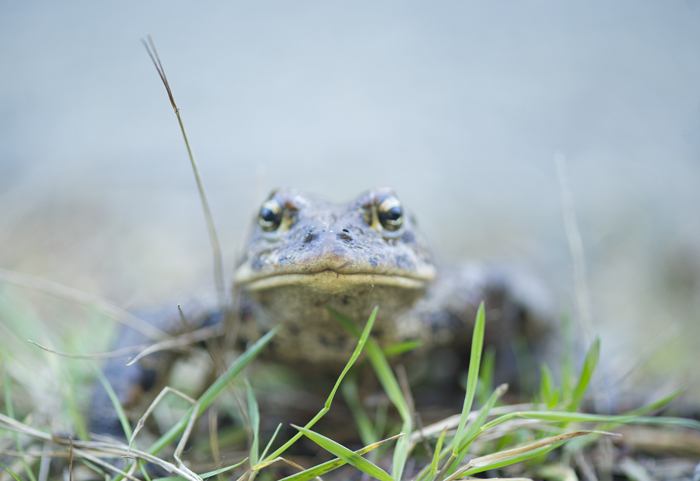 Vancouver Island western toad, the subject of a film called Toad People by Salt Spring-based filmmaker Isabelle Groc. A Salt Spring Island-based filmmaker has been nominated for this year’s Wildscreen Panda Awards for her film entitled Toad People. The awards are held every year in Bristol, U.K. and are considered the “Academy Awards of wildlife films.” Isabelle Groc, the director of Toad People, is honoured to be named among industry heavy hitters like David Attenborough and National Geographic. The western toad is an unlikely champion for conservation, but the yearly struggle faced by the species during its migration has gotten the attention of communities across B.C. The toads are born in the wetlands and need to migrate as juveniles each year to the forests, where they live out their lives. Their migration paths are often criss-crossed by roads and highways, which pose a significant danger for the small creatures. Each year, a large number of toads are killed by cars when crossing the road. The film looks at the ways people in grassroots organizations have been working to save the toads.